Miller Restoration understands that when water invades your home, you need immediate action. On call 24/7/365, our certified restoration team will arrive promptly, assess the extent of your water damage in Devon immediately and start water restoration right then and there. We have extensive experience servicing Devon PA, whether you’ve discovered flooding from a broken or leaky pipe, damage from frozen pipes, a sink or toilet overflow, or a malfunctioning appliance like a water heater, washing machine, dishwasher or refrigerator in your home, or you’re a victim of basement water damage, our flood damage technicians are equipped to handle any problem of any size 24 hours, day or night. We are a water damage company servicing Devon residents with residential and commercial water damage issues. If you are suffering from an emergency water damage situation, don’t hesitate, call Miller Restoration today at 610-933-0707. We can start your water damage repair immediately and get your life back on track. Devon is known for the Devon Horse Show, the oldest and largest outdoor multi-breed horse competition in the United States. The event is held in late May to early June and lasts ten days. In 2016 the event is held from Sep 27 to Oct 2. It was also home to the Valley Forge Music Fair from 1955 to 1996, hosting hundreds of famous musical and comedy acts. Today, Devon is home to such attractions as the Devon Park. 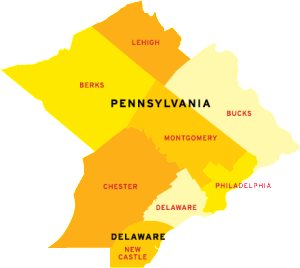 Providing services to Devon PA, including 19333. We also provide water services to areas such as Royersford PA and Bryn Mawr PA.